To be honest, I have a little recall on this tiny sky blue colored creatures since they are rarely televised during my childhood that have shows like Transformers, Visionaries, Thundercats and a lot more cartoons much cooler that them. So I'm really excited to see them now . The Smurfs are 50's comic strip characters that became TV cartoon in early 80's that spawns almost 256 episodes. Now Columbia Pictures and Sony is producing a CGI animation remake and the attempt to reintroduce this classic cartoon icon. 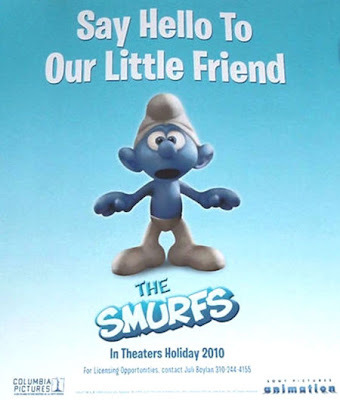 Though we still need to wait a little longer because Smurfs are set to premiere not until December 17 next year.